BBC Radio 4 - You and Yours, You and Yours Special: Are we ready for a low carbon future? You and Yours Special: Are we ready for a low carbon future? Consumer affairs programme. Samantha Fenwick investigates the UK's position on emissions and how the government plans to bring them down. The UK government says air pollution is the fourth biggest threat to public health after cancer, obesity and heart disease. We speak to a father whose daughter was rushed to hospital with breathing problems - he blames poor air quality. 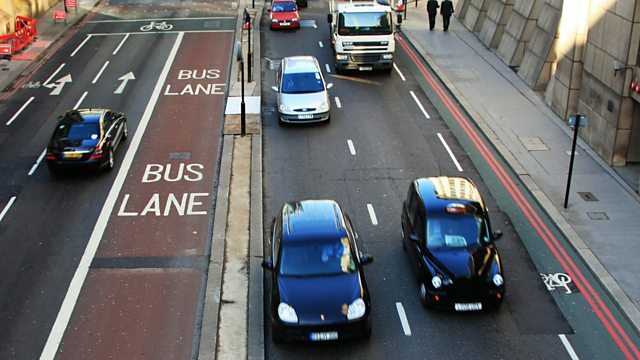 We'll find out what the authorities are doing to try and reduce congestion. Ministers have also committed to ending the sale of new diesel and petrol vehicles by 2040. But will we really all be driving around in electric cars? A survey commissioned by You and Yours from YouGov suggests many people in the UK still aren't ready to make the switch. We'll report from California where they already have 340,000 electric cars on the road and that number's growing. Plus, an exclusive interview with JB Straubel - the Chief Technical Officer at Tesla - as they try to bring their new electric car onto the market. How is production going? Is Elon Musk still sleeping on their factory floor? And we'll investigate how new battery technology could revolutionise the energy market.